Management Team | your dependable source for the latest news, music & general information. Born to the family of James and Elizabeth Adzape on the 28th September, 1962. She attended Queen of the Rosary Secondary School, Gboko, passed out in 1979 and enrolled at the School of Basic Studies, Ugbokolo, now Benue State Polytechnic, Ugbokolo for her IJMB. There after proceeded to ABU, Zaria and graduated with B.A. English (Hons) in 1985. She went for her primary assignment under the NYSC scheme to Malumfashi, in 1986. Started work with Radio Benue, Makurdi as Announcer in 1987 and rose to peak as Head of Presentation Unit and viaed out to Administration in 2005. 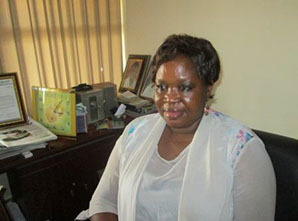 Became Director Administration and Finance in 2008 until May, 2015 when she was appointed Director-General of Radio Benue. Married to Ushe Uba, Espei has two (2) children, Benjamin Sefa and Amanda Deve. Espei is a practicing Christian of the Roman Catholic stock. In the span of service, she has attended several courses in presentation and administration locally and internationally. Nguamo Mimi Kputu was born on 13th September 1966 to the family of Mrs. Christiana Ashi and Ityover Kputu she attended Our Lady’s High School, Kaduna from 1971 – 1976 and went on to F.G.G.C. Calabar from 1976 – 1981 after which she had a brief stint with Radio Benue, Makurdi as an Announcer Trainee for a few months in 1982 before moving to the School of Basic Studies Zaria from where she went on to the ABU Zaria where she studied and acquired a degree in Public Administration in 1986. As is the requirement for all graduate in Nigeria she embarked on the compulsory NYSC for one year 1986 with the Military Governor’s Office, Kano. After completion of the mandatory service, she got a job with Kabo Holdings Limited where she served and rose to the rank of Senior Manager Admin and Personnel. She retired home to Benue in 2001 to join her 1st love which is Radio Benue, Makurdi where she served in Presentation, Administration and moved into Programmes as Producer and worked diligently. 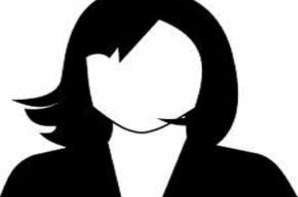 She is presently Director Administration. Elijah Sase was born to the family of Samuel and Ruth Sase-Tor on 15th September, 1959 at Mbakyambe, Ipav in Gboko Local Government Area of Benue State. He had his elementary education at NKST demonstration Primary School, Mkar in 1972 and later proceeded for his Secondary School education at Mbaakon Grammar School, Mbaakon and passed out in 1980. Between 1981 and 1986 he was privileged to study at Benue Polytechnic Ugbokolo for his ND and HND Marketing after which he proceeded for his NYSC Scheme at Kalaibiama in the then Rivers State in 1987. He obtained Advanced Diploma in Personnel Management (ADPM) from Benue State University, Makurdi in 1994. Between 1997 and 1998 he attended the prestigious university of Nigeria where he obtained Post Graduate Diploma (PGD) and M.Sc Marketing (Public relations) respectively. At present, Mr. Sase is doing his doctoral research at the same University. 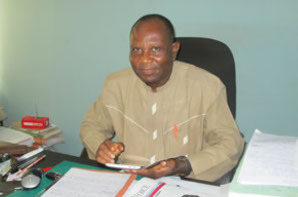 He started work as Principal Commercial Officer with Radio Benue in 1992 and rose through the ranks to become the Director Marketing/Commercials in 2008; the position he holds till date. Mr. Sase belongs to various professional bodies and is presently a Member of The Nigerian Institute of Public Relations (MNIPR), Associate, Nigerian Institute of Management Chartered (ANIM), Associate, Nigerian Institute of Marketing (AMNMA) and a Registered Practitioner in Advertising (rpa). He has published several research papers and attended many Workshops and Seminars across Nigeria in Marketing, PR and Broadcasting. 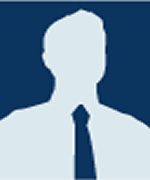 Mr. Sase is a strong Christian of the Protestant Faith (CRCC) and is married to Mnena. The marriage has produced four lovely children. Born in January 5, 1964, Igba Ogbole hails from Court-Oko, Orokam in Ogbadibo LGA. He studied at St. Joseph’s Primary School, Orokam, Mt. St. Michael’s Secondary School, Aliade, University of Calabar, Nigerian Institute of Journalism, Ogba Lagos and Benue State University, Makurdi from where he acquired various academic qualifications. 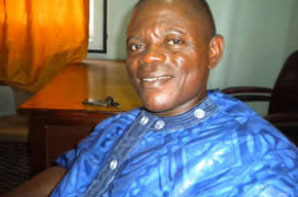 He started work in February 1987 with Radio Benue, Makurdi as an Announcer. Since then he has served the Corporation in various capacities including Producer, Current Affairs Officer, Reporter, Government House Correspondent, Head of News, Katsina-Ala Substation, Manager, Idekpa Substation and Director, News and Current Affairs. Igba is a simple minded, easy going person who shares strongly the Utilitarian philosophy that at every point, man’s actions and utterances should aim at providing the greatest good for the greatest number. He also believes unequivocally in the truism that he is God’s creation and subject to His will in the firm knowledge that what he is, all he has and will have belong to God who releases them to him as a mark of His enduring Grace and Faithfulness. Igba Ogbole loves his job and does not pretend about it. 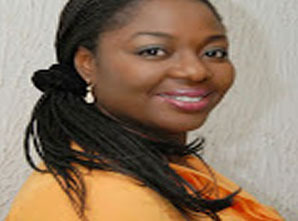 Onwanyi Ulegede is an On AIr Personality, producer, and lawyer, she is currently working as a Legal Officer. She was born in Jos Plateau state to Chief and Mrs. Oga and Elizabeth Okoh. The 5th of 7 children, she is married with 4 children. Her hobbies are reading, writing, sewing and travelling among others. She enjoys mentoring and inspiring people.